Return Policy - Old World Distributors, Inc.
Any materials returned must not have been exposed to the weather. There is a 25% restocking fee for all returns. Shipping charges are non-refundable. Returns require 30-45 days to be processed. It is the customer's responsibility to inspect all packages for damage prior to signing for shipments. 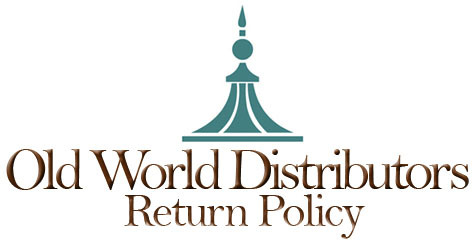 Old World Distributors, Inc. will not be liable for damaged shipments unless noted on delivery receipt.